When your cover is described as insulated, that generally refers to a three- or four- inch insulated panel. Five or six inches of foam is compressed, giving you a stronger roof than a non-insulated option. But more importantly, it’s going to give you protection from the direct hit of the sun while you are sitting underneath. In addition to a stronger roof, you’ll also enjoy cooler temperatures. You can install other items such as fans or lights in an insulated roof as well. A non-insulated panel is a little simpler. It would be something to give you shade from the sunlight so that you can use your back patio even when the sun is at its strongest. This is a more affordable option than the insulated panel. Another option you can choose is the post used in the design of your roof panels. 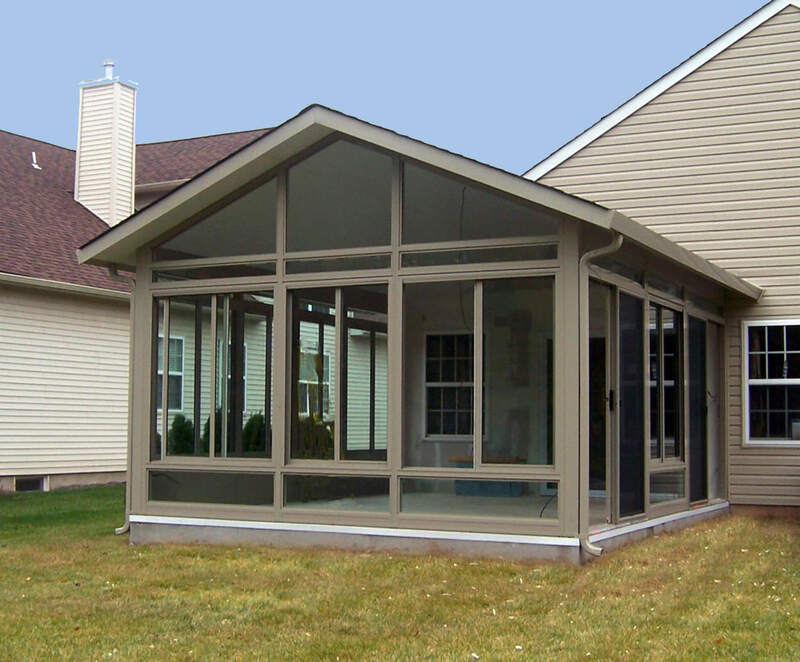 For example, you can put six-inch footed columns or other custom options to really make your patio fit your home. That’s the biggest challenge: finding the post that actually goes with the home so your patio doesn’t just look like an afterthought. Of course, you can shingle on top of these roofs to make it seamless with home, which is required by many neighborhood HOAs.